You would have never seen these Vintage pictures of Sushmita Sen before. Sushmita Sen, Miss Universe 1994 has been such a role model to today’s girls who all dream of winning Miss India or Miss Universe. 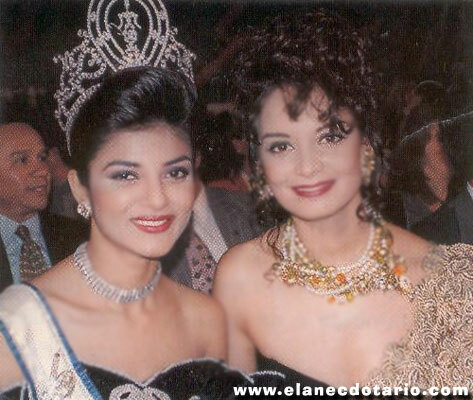 You might appreciate the fact that when Sushmita won Miss Universe, she was just 18 years old. Could you imagine that kind of confidence she had in those days sailing through interview and other rounds with flying colours? She also topped the interview segment of Miss Universe 1994 preliminary with a score of 9.49/10. This is during her visit to Colombia along with her 1st Runner Up Carolina Gomez. The winning reaction of Sushmita Sen was one of the best reactions. Also Carolina was a kind and gracious runner up who hugged and kissed her when Sushmita was as the new Miss Universe. Again, another picture from Colombia visit by Sushmita. Just look the radiance in her smile. She won over Carolina for a reason for sure. Sushmita Sen during an event in Philippines. Sushmita during her visit to India after winning the 1st ever Miss Universe crown for India. Miss Universe Thailand 2015 Contestants.